Drawstring bags often feature a cord lock, which is used to keep the tightened drawstring in place. Cord can refer to an electrical cable that is thin, pliable, and insulated, or a thin rope or robust string. A lock is a mechanism to hold something in position, secure something, or keep something from moving. A cord lock is a device to hold a cord in a set position. While in some cases a cord lock is a generic product, in other cases it can be a proprietary, trademarked solution. The cord is threaded through the product, which has two positions: one in which the cord moves freely and one in which the cord is locked in place by the cord lock mechanism, with the position generally being changed by a squeezing motion. A cord lock may also be referred to as a cordlock, a cord fastener, a cord stopper, a cord toggle, or a plastic stopper, and may be used in a number of different applications. One typical shape for cord locks is a small, open-topped barrel shape with a traverse hole. A plunger shaped piece, also with a transverse hole is inserted in the top. In the closed position, the holes on the barrel and plunger are aligned and the cord moves through freely in either direction. When the plunger is open, it is locked; it shifts vertically with regard to the barrel such that the transverse holes are no longer aligned and the string is locked in place. One use of the cord lock is in luggage and backpacks. Many backpacks have a top flap, and under that flap is a section that is shaped like a large grocery bag with a drawstring running through a hemmed section at the top. When the drawstring is tightened, the cord lock is used to keep it in place and the flap is secured over the top, adding double security to prevent losing any of the contents. 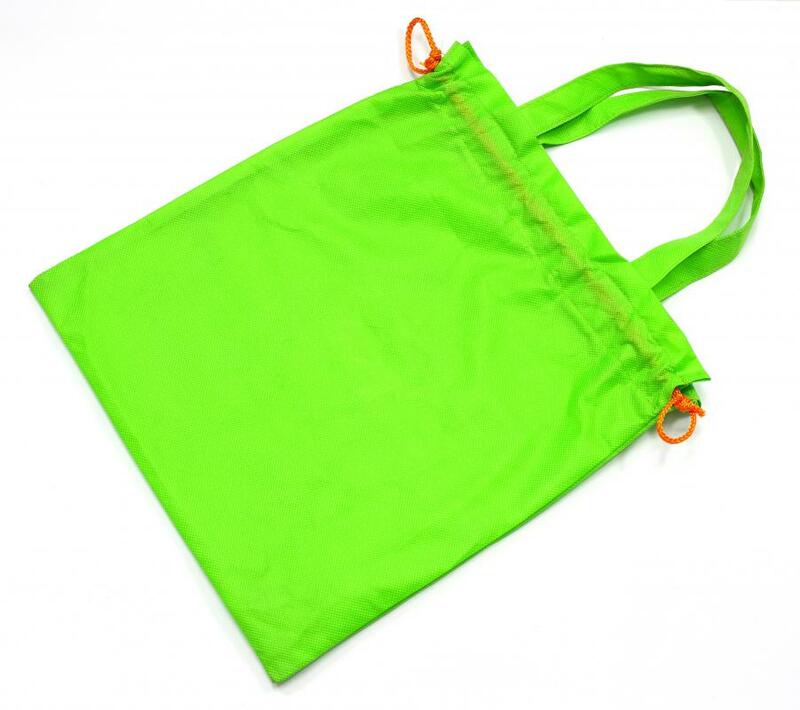 Another use is to secure the tops of utility bags, such as sleeping bag covers, laundry bags for dirty clothes, and mesh bags for washing delicate items. Securing window treatments, such as window blinds, is another application. Cord locks are also used in clothing, for example, on a drawstring at the waist of casual pants, but more often to seal out the wind and weather in outerwear and cold weather gear. Cord locks can be found, for example, around the edge of the hood on hooded sweatshirts. They are also used on the bottom hem of winter jackets and on the bottom hem of gloves and mittens. How do I Choose the Best Mesh Laundry Bag? What is a Shoe Bag? What are Different Types of Eyeglass Cases? What are the Different Types of Drawstrings? @kylee07drg – I have cord locks on the hems of my capri pants, but I'm not sure why. I understand why one would be necessary around the waist, but why would my calves need to feel secure? If these were long pants, then I would think that the cord lock's purpose was to lock out the cold air and wind. However, since they are short and are meant to be worn in warm weather, I am really puzzled by the presence of the drawstrings. I think it must be just considered fashionable somehow. It might belong to the same family as those fake pockets that serve no purpose. I love the fact that my pants with a drawstring waist have a cord lock. I call it my “security lock,” because it keeps my pants from falling down. I went on a diet last year and starting losing weight. I needed new pants, but I didn't want to buy some that would be too big for me before long, so I got some drawstring pants. The kind with the cord lock are better than the kind that you just tie in a knot. The lock is a piece of round plastic that I slide up the string while holding a button down, and when my pants have been tightened enough, I release it. This locks the string into position, and my pants will not fall off, no matter how often I have to bend over and stand back up. I used to have a vacuum cleaner with a retractable cord, but my new one has a short cord that locks into place when I'm not using it. I have to use an extension cord to go from room to room, but the vacuum cleaner is so much easier to maneuver than my old one, so I'm not complaining. The lock is just a piece of plastic situated on the side of the vacuum with a groove cut into it. The cord fits perfectly into the groove, so I just loop it around the top of the vacuum when I'm not using it and pop it into the lock. The cord lock came in really handy after we got a new puppy. If I hadn't had the cord secured, I know that he would have chewed it in two!